There are 5 of us…me, Meredith, Rachel, Sarah and Solange. Most of us started out as drinking buddies, and now our friendship has gone so far beyond that. We support each other in all aspects of our lives, and because of our workout schedule, we get to see each other almost everyday. It is SO EASY to commit to your fitness routine when you have 4 of your favorite people at the gym waiting for you every morning at 6am or when you know someone is saving you a spot next to them in a yoga class. We hold each other accountable, but most of all, we make it fun. I feel so lucky to have such amazing friends who love health and fitness as much as I do. 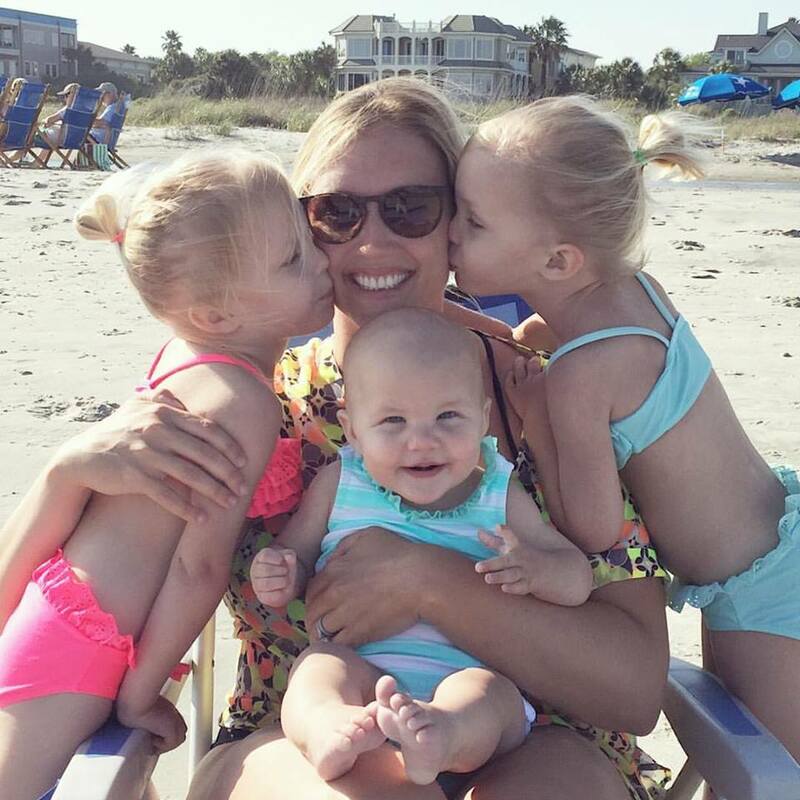 At any point on any day, I can shoot out one text message and someone will want to catch a yoga class, go on a run, meet up for some strength training or anything else…these girls are up for anything. It all starts on Sunday when someone gets the ball rolling and we all start planning our workouts around each other. We all have a ton going on in our lives (demanding jobs, kids, husbands, etc. ), but we all work around all the craziness to make taking care of ourselves a priority. 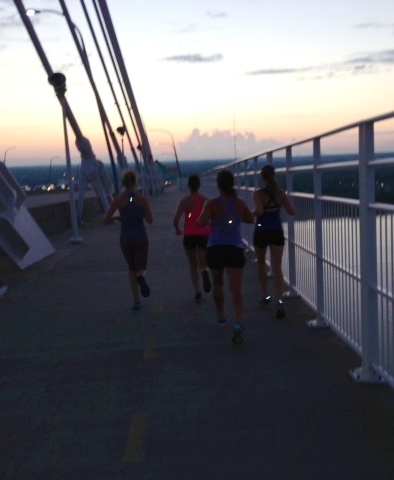 Here is a picture of us during our sunrise 5 mile Ravenel bridge run this morning. Nice and sweaty after the run. Want to enjoy your fitness routine and have fun with it? You need to find your crew. Maybe they are in your existing group of friends. Maybe you need to join a gym, hit up some classes and make new friends. Obviously the people you meet at the gym are trying to make health and fitness a part of their lives, so there is your common interest. I met Solange and Amanda (Solange as my client and Amanda as my trainer) at the gym and they have both turned out to be two of the greatest people and friends I’ve ever had. Does your city have a Lululemon? Get involved with them…they have complimentary yoga classes, run clubs, etc. and it is such a great place to meet other fitness minded people. 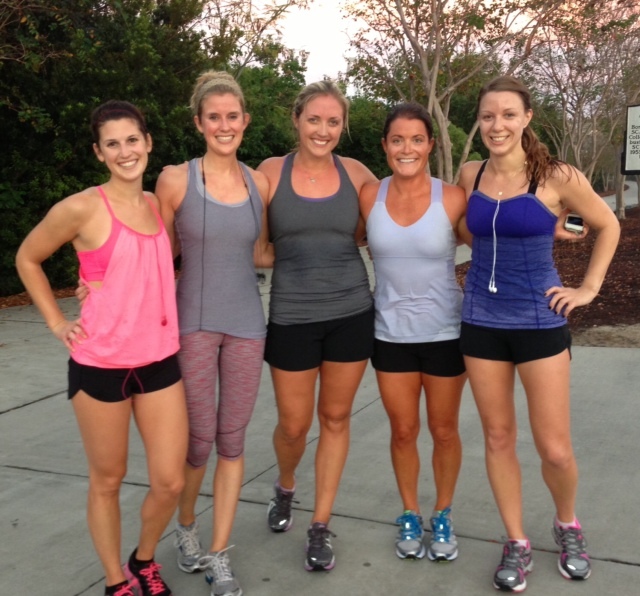 Join a run club, go to a yoga workshop, get involved somehow in your fitness community. Put yourself out there…FIND YOUR CREW.